With a combined GDP of US$27 trillion that is growing rapidly, Asia and the Pacific is well on its way to becoming the most important market in the world, opening possibilities for further expansion of trade and investment within the region. This could contribute to job creation, poverty reduction and the boosting of economic growth throughout the region. But to take advantage of such opportunities the region needs to enhance its regional economic cooperation and integration (RECI). 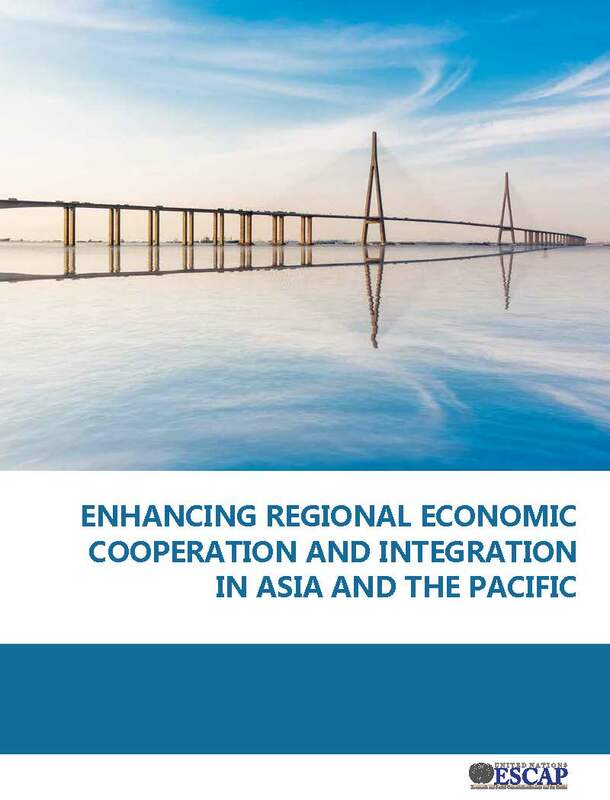 This report presents the views of the ESCAP secretariat on how to advance the RECI agenda in the region to support the implementation of the Bangkok Declaration on Regional Economic Cooperation and Integration in Asia and the Pacific adopted in December 2013. The RECI agenda set in the Bangkok Declaration includes four pillars: market integration, seamless connectivity, financial cooperation, and addressing shared vulnerabilities and risks. The report emphasizes that greater regional economic cooperation and integration (RECI) can offer solutions to the pervasive problems of poverty and inequality facing the Asia-Pacific region that are at the core of the 2030 Agenda. As several of the Goals are transboundary in nature, effective action requires a regional approach, drawing on regional cooperation and cross-border solutions to complex challenges, such as climate change, disaster risk reduction, ecosystem and natural resource management, and sustainable energy. The report also underscores that to deliver the best results for the region, the four pillars of RECI need to be simultaneously developed in an integrated manner.